John Zohr - San Francisco stockbroker - "Best program available. A must before starting or buying a business. Easily grasped by professionals and beginners alike." Richard Braley - Phoenix construction manager - "The most complete educational and support program I have ever experienced." Robert Michard - St. Louis software company owner - "Provides a plan and proves it can be done by anyone." William Hunter - New York truck driver - "Gave me the confidence and know-how and courage to go out and do it!!!" Fred Pruess - Atlanta administrator - "The most worthwhile time investment of my life." Frank Loring - Miami TV consultant - "Breaks down the mystique of business." Martin Fedigan - Seattle airline pilot - "Great presentation. Information I can use immediately. Getting my questions answered immediately... priceless." Marion Johnson - Dallas research consultant - "Thorough and comprehensive. The program exceeded expectations." Jerry Kafka - Minneapolis salesman - "Totally informative on raising capital." Paul Hart - Miami international sales - "A non-gimmick, professionally done, credible program." Tom Griffith - Houston printer - "Insights into all parts of my life." Tom Ping - San Francisco business owner - "Just the elephant story is worth the enrollment fee." Joseph Mancuso - New York business author and columnist - "Very detailed. Excellent workbook." Ellen Sachtjen - Los Angeles clinical instructor - "I bought an employment agency using none of my own cash or personal credit. With help from Gordon and his Do-Able Deal Analyzer, I closed the deal a week after I enrolled. And I've expanded the business twice [by acquisition] in 2 years." Reb Bowman - Los Angeles banker - "After I bought my first company, I went to Mexico for the weekend, came back and it was still running... seven days a week. I bought a money machine!" Jim Mason - Los Angeles chemist - "The Bizar Financing Loan Package works! I had no credit rating at the bank I applied to, and my business had poor 1st quarter figures. But I presented the loan proposal to the bank manager, and after looking it over, he stuck out his hand and said, 'Jim, I've never seen such a complete loan request in my life. I like your business plan, and we'll be happy to back you.'" Bonnie Roeder - Toledo nurse - "The Bizar Financing course helped me gain the confidence I needed to get started and supplied information to help me get a loan. Within 3 months of start up, we made a profit. My plans include going national, and I will use the Bizar Loan Packaging Manual to obtain my loan." Jim Mahoney - Wisconsin cheese broker - "I've radically increased the size of my business thanks to Bizar Financing. I used just one Bizar Financing cash management technique to increase my cash flow over $5,000 per month and another Bizar technique to reduce my tax burden over 70%. With Bizar Financing, I can dream bigger now." Bob Garrett from Dallas Texas, volunteered to tell of his experience with Bizar Financing during a live webinar. A transcript of his statements follows. Hi everyone… it’s a very high honor to be on this call with you, along with, in my opinion, the best mentor anyone could possibly have, Gordon Bizar. I began my career in life insurance, followed by 1.5 years as a yellow page sales rep in Texas and Oklahoma. I got tired of making others rich so I wanted to start my own business. To condense this, I sold a yellow page ad to a man in the portable sign rental business. For those who may not have these in their area, these are portable billboards on wheels with changeable letters for the advertising messages. The signs are 4 x 8’ in size and I rented them to retail merchants all around the Dallas area. Business was going well yet I wanted to expand. This was when I found Gordon’s materials back in the 80’s on cassette and workbook format, which dates me a little bit, since cassettes are now dinosaurs. Sadly I lost the materials over the years, and just recently found the NEW on line version of the vastly expanded and incredibly thorough and professional presentation most of us have seen today. 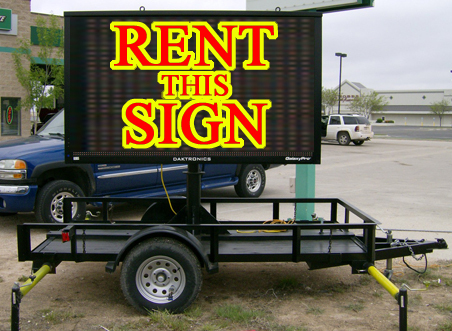 Anyway, my first year I had invested in 6 portable signs and leased each one for $150 a month, doing this on the weekends part time and had a nice $900 coming in. In 1977, to me, this was a good bit of money. I went to my supplier who had 23 signs and he offered me his business for $14,000, which I was able to buy with a 100% bank loan. The day I bought it, I resigned from my yellow page traveling sales job and had a good $4000 a month coming in. I slowly added more signs, but it wasn’t moving fast enough. It was right then that I found Gordon’s materials and began to formulate ideas about how to buy out the competition. There were only about 15 of us in the industry and I began to approach them one by one as I heard of some wanting to sell or move on. In each case I was able to put a value on the company, buy them with either nothing down or getting them to finance each one for me. Each company had from 5-10-15 signs and a customer list basically as the only assets in addition to yellow page ad which was our prime ad vehicle. Over time, I accumulated 90 of these signs and the money really began to roll. Rates began to drop as Sam’s wholesale club began to sell the signs cheaply but I was still getting around $110 per month per sign and had most of them leased out most of the time, and only 2 employees and a small office for overhead. So, $100k at age 30-35 working from my apartment as a single person right by the hottest pool in the best singles complex seemed like a dream and I thought I was in pretty tall cotton. Then came the biggest purchase, which I know sounds small for some of you, and I know it’s tiny for Gordon, but for me at the time it was major. My biggest competitor came to me and wanted out. His asking price was around $85,000 and he wanted all cash. He had 52 signs and was grossing $5000 a month. I was able to back out his receivables, get him to take back a note and I was able to get bank financing based on my prior success with my years in the business. Suddenly the asking price came down to $65k and we inked our deal. I took that from $5k per month up to $8k pretty quickly as I had two big yellow page ads to dominate the category. I then jumped over into a neighboring city, Fort Worth Texas with a frat brother from TCU and we added another 80 signs there over time and we ended up being the portable sign kings for years and years until the ordinances went south on us and many of us got out of the business as Dallas wanted to ban them and some cities did ban them. But when you have 240 signs at $100 average per month in your 30’s you can develop a pretty nice income of $25 to $30k per month. I owe a lot of that success, to Gordon, which I was really never able to tell him until just recently. So, with the new techniques Gordon has put together… I’m ready to use them again. Now I’m an energy consultant in Texas and plan to use these techniques in more modern variations to do LBO’s of some of our energy consulting competitors.